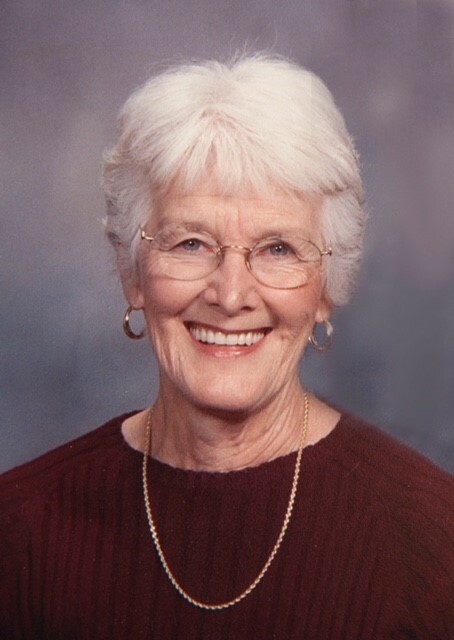 Heather Edna Shephard, age 83, long time resident of Plymouth, MI., passed away peacefully November 11, 2018 surrounded by her loving family. She was born December 1, 1934 in Campbellton, New Brunswick, Canada to the late Frank and Catherine (Stanger) Watson. Heather is survived by her husband of 63 years, Sterling Shephard, daughters: Catherine (Steve) McKenny of Ann Arbor, MI, Jennifer (Chris) Carpenter of Plano, IL, and Jane (Craig) Wise of Troy, OH, sons: David Shephard of Ferndale, MI, and Ian Shephard of Ypsilanti, MI, grandchildren: Ian McKenny, Sean and Kate Carpenter, Emaline and Claire Wise, and Anthony and Daniel Shephard. Heather was a member of the First Presbyterian Church of Plymouth where she served as an elder, and deacon. She also gave her time to the church teaching Sunday school and singing in the choir, among other things. Heather worked 17 years as an administrative assistant with Plymouth Canton Community Schools. Heather was a devoted wife, mother, and grandmother. She had a love for the beauty of the outdoors, and enjoyed gardening, fishing, and flying kites. She was a member of the Plymouth Garden Club. In addition to her parents, she was preceded in death by her sister Florence Robertson and brother Kenneth Watson. A memorial service will be held at 11 am on Saturday December 1, 2018 at the First Presbyterian Church of Plymouth with Rev. Emily Campbell officiating. The family will receive friends immediately following the service in the fellowship hall. In lieu of flowers, Heather's family requests donations be made to the American Cancer Society 20450 Civic Center Drive, Southfield, MI 48076 .